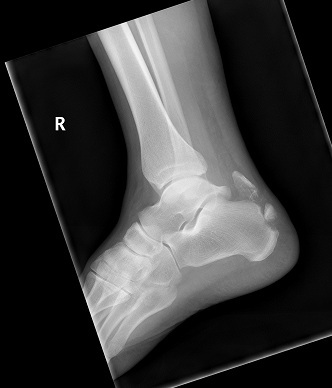 X-ray of avulsion fracture of the calcaneus where the Achilles pulls off a fragment of the heel bone (below left). Another example of an extra-articular fracture of the calaneus is the tongue type fracture show in an adolescent (bottom right). 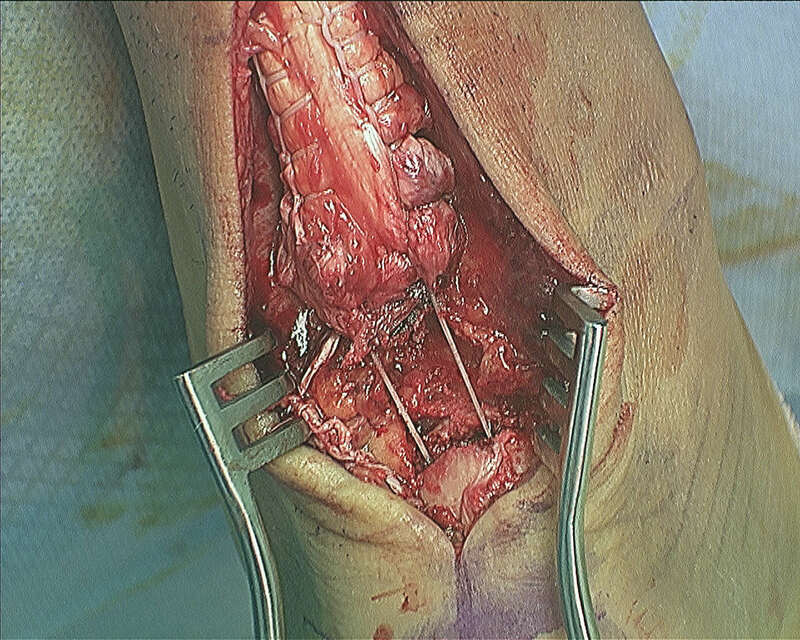 If secondary fracture line travels parallel with the plantar aspect of the foot, exiting at the posterior border of the calcaneus, a tongue fracture will develop. 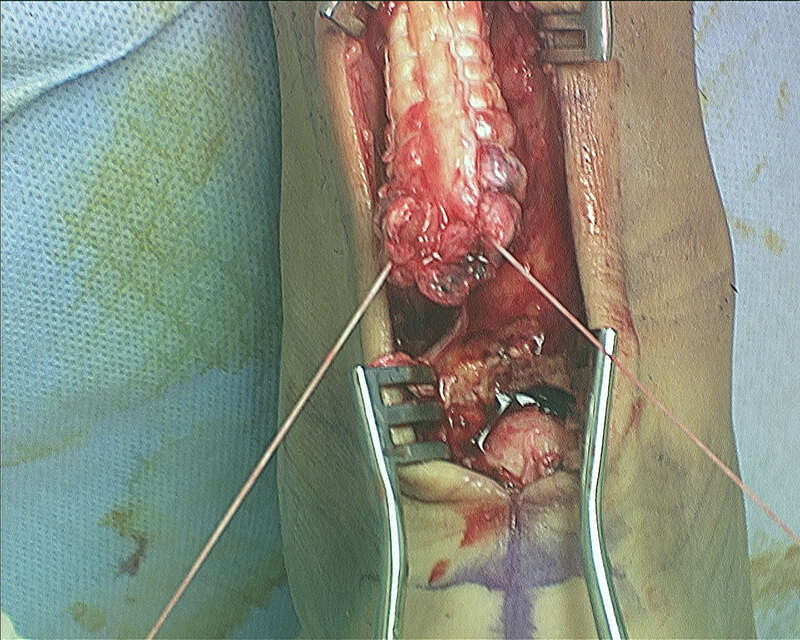 Secondary fracture line extends posteriorly from superior part of primary fracture line (at crucial angle), creating 1 single posterior, superior, & lateral fragment. 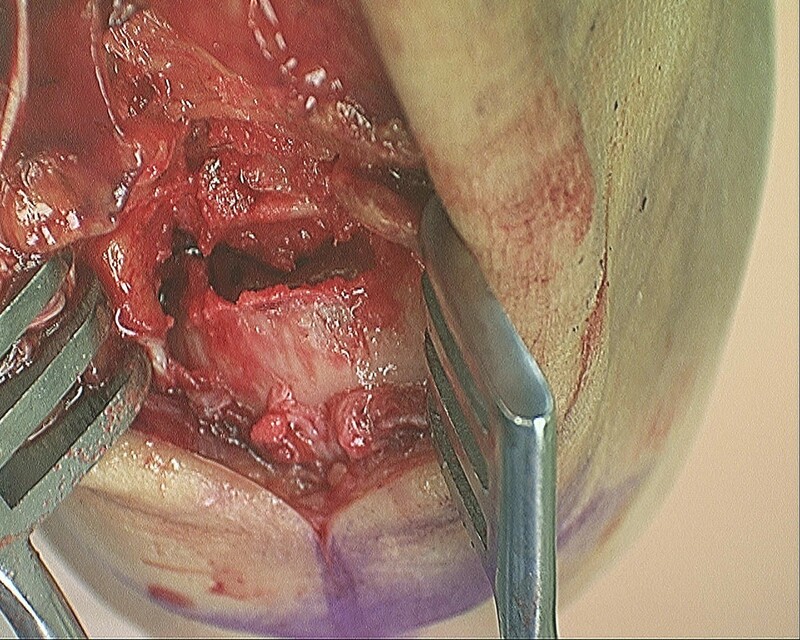 Hence, the coronal fracture occurs posterior to the tuberosity. 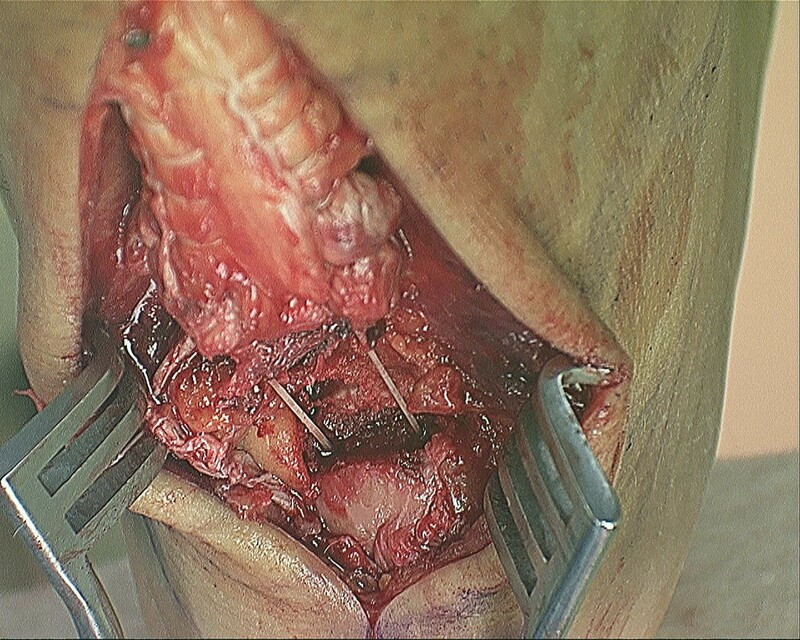 Sustenacular fragment: - contains medial aspect of posterior articlar fragment. Tongue fragment: contains tuberosity & lateral aspect of posterior articular fragment. 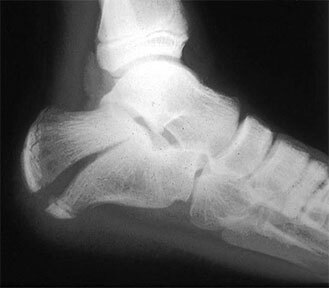 Inferior portion of body of the calcaneus. 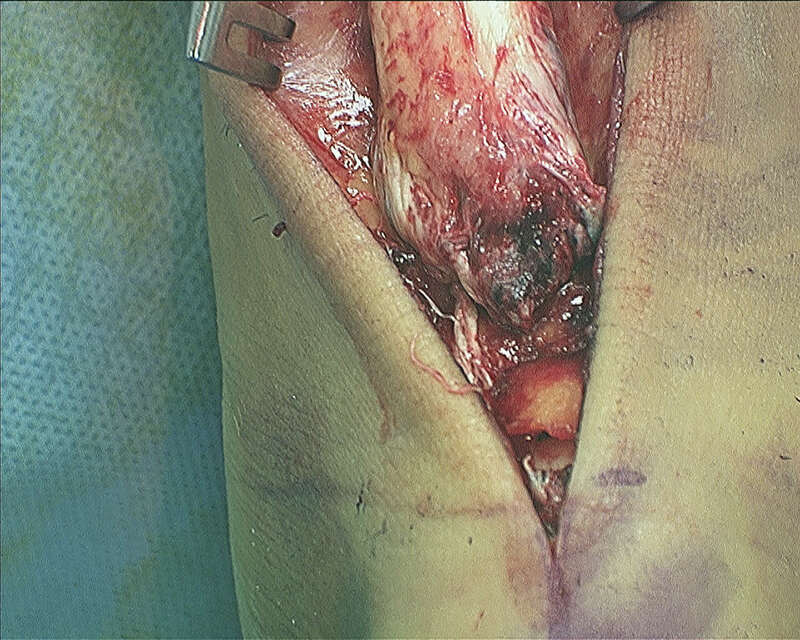 Fragmentation of the lateral wall is often mild. Comminution anterior to the Angle of Gissane will often be severe. 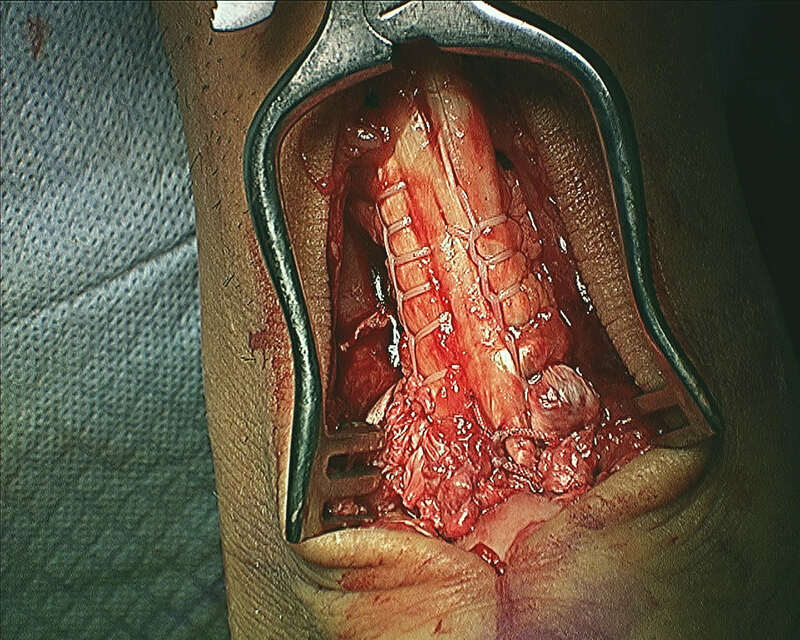 Tongue fracture fragment will include portion of achilles tendon. With displacement of tongue fragment there will be excessive tension on the posterior skin which can lead to necrosis. 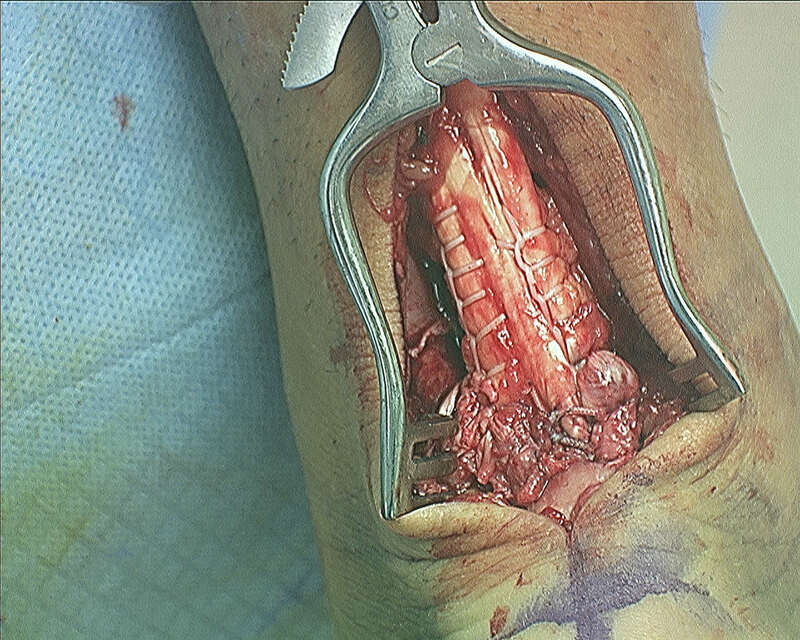 Removal of fracture fragment and advancement of Achilles to calcaneus.